We have discussed the artificial womb in previous posts, and along with it a stepping stone to the artificial womb, called the artificial placenta. In those discussions we have taken a futuristic perspective and wondered at how far technology can take us. But today, let’s focus in on the challenges to the artificial womb. What are the limitations in terms of how early in pregnancy, how young a gestational age, is it technologically possible to transfer a fetus from the womb, into a machine. The device that is moving into clinical trials, and that is continuing to advance in animal studies, is called an artificial placenta. It does some of what a mother’s biological womb does for a fetus, but not everything. Part of the limitation is connected with the fact that the developing baby does more and more on its own as pregnancy advances, so the artificial placenta is left mostly to take over for the mother’s lungs. This enables support of fetal lambs down to an equivalent of somewhere from 16 – 17 gestational weeks for a human. Using a machine to support a fetus younger than this would require the artificial “placenta” to take over liver function, kidney function, and some many more function. That technology is not here yet, plus there is a mechanical issue of how to connect up with very small blood vessels. The younger the fetus, the small all of the connections need to be. Eventually all of these problems could be solved, but several different technologies will need to come together. Before we look into how that might happen, let’s take a look at what a natural placenta usually does, and then we’ll look at where the artificial placenta technology is today. So what is the placenta? Really, it’s a kind of temporary organ that serves as a boundary between the blood of the mother and the blood of the fetus. Within the placenta, small blood vessels known as capillaries carrying the fetal blood (and prior to that embryonic blood) come into close contact with capillaries carrying maternal blood. Because the embryo/fetus has special hemoglobin in its red blood cells (RBCs) that attracts oxygen more strongly than hemoglobin of an adult, the placenta is where oxygen moves from the maternal to fetal blood while the RBCs themselves remain on their appropriate side of the circulation (fetal RBCs on the fetal side, maternal RBCs on the maternal side). At the same time, the placenta is also where the waste gas known as carbon dioxide moves from the fetal blood to the maternal blood (some carbon dioxide is carried by hemoglobin, but most of it converted to a compound called bicarbonate, which is dissolved directly in the water component of the blood. Thus, from the perspective of the fetus, the placenta is a place where you send your carbon dioxide to get rid of it and where you receive oxygen to freshen your blood. In other words it serves the function that the lungs serve after birth. For this to work, the placenta must be hooked up, by way of the mother’s circulatory system, to the mother’s lungs. Now, the artificial placenta is being developed by scientists at Children’s Hospital of Pennsylvania and the University of Pennsylvania. While it is called the artificial placenta, really it takes the place of the placenta plus the maternal lungs. It does this with a mechanism called extracorporeal membrane oxygenation (ECMO). This is hooked up to fetal lambs by way of the umbilical blood vessels. Along with getting oxygen and carbon dioxide exchange through the ECMO device, fetal lambs are also contained within a fluid-filled bag that takes the place of the amniotic sac of pregnancy. Temperature and other aspects of the normal womb environment are controlled from the outside and it is possible to add some nutrients and drugs into the blood. For this reason, the emerging artificial placenta is sometimes called an artificial womb in the media, although it does not do everything that womb does. It would not support a fetus that is so young that its liver has not yet begun to do a certain amount of what the liver does subsequent to birth. It is very difficult to reproduce the precise balance of various hormones from the mother, but it is enough to support fetal lambs with a gestational age that corresponds to a human fetus of 16-17 weeks gestational age. This is more than a month younger that the youngest premature human ever to survive (21 weeks and five days, set in 1987 and it was matched again in 2010. ), although the scientists are developing the system not to push back the age of viability, the point in pregnancy when a fetus is considered able to survive outside the womb based on the lungs being mature enough, at least with support from mechanical ventilation and a substance called artificial surfactant that must be sprayed in. However, since the artificial placenta bypasses the need for the fetal lungs to be mature, the discussion about fetal viability is certain going to change. Now, to turn the artificial placenta into a real-life artificial womb, the device would have to take over numerous functions that the fetus, and before that the embryo, is not able to do at younger gestational ages. 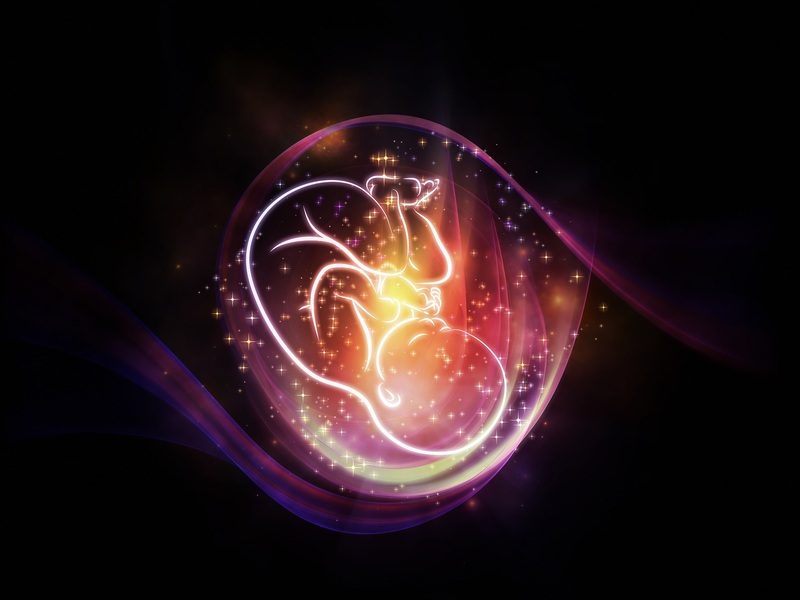 With increasing complexity, we can envision such a womb being possible after many decades, but another challenge that often is raised is the issue of size. Going to younger and younger gestational ages, all the way back to an immature ball of cells that first implants in the uterine wall and forms not just the embryo, but also the placenta requires more than just a synthetic version of the maternal functions. It also requires very tiny blood vessel hookups. With the fetal lambs, it was a challenge for the researchers to develop a mechanism for connecting ECMO through the umbilical vessels of very immature lambs. A human fetus corresponding to a lamb of the same level of maturity is even smaller, so when the artificial placenta is first used clinically one limit will be how small the umbilical blood vessels get, which means how small the fetus is. With the current approach, connecting human fetuses with ages dropping below 20 weeks, or 18 weeks is going to be difficult. But then, who ever said the current approach is the only possible approach? One interesting thing that is happening in biotechnology outside of artificial womb research is nanotechnology, which is the technology of making things very small. Related to this is a field called microfluidics, which is the design and use of systems of very small passageways for streams of liquid. Eventually the nano and microfluid people will link up with the artificial womb people, and that could lead to yet another milestone characterized by an ability to keep tiny amounts of blood flowing between artificial and biological capillaries. Your Baby Carries Your Genes and Non-Human Genes!